Why Do We Need Digital Elevation Models to Infer the Local Adaptation of Alpine Plants? It’s not easy to characterise the local environment of species living in mountains because these habitats are highly heterogeneous. At a large scale, we typically assume that temperature varies with altitude, but at a local scale, we understand that exposure to wind or being in the shade has a great influence on climatic conditions. If you go from the south-facing to the north-facing side of a mountain, it can be easily 5°C colder. If we can feel that, so can the organisms that live up there. Plants in particular are submitted to tremendous climatic variations over a year. What we want to know is: how did they adapt to these climatic variations and how localised is their adaptation? We don’t know much about how organisms adapt locally because it’s so difficult to measure the environmental conditions that these plants are facing. Existing weather stations can’t capture micro-habitat conditions because they are few and far between. What we can do instead, is use topographic models of mountains to model their environment. After all, if orientation, slope or shade have an impact on climatic conditions, why couldn’t we use them to model local variations in temperature for example? The buckler mustard grows on the ridge of “Les Rochers-de-Naye” in the Swiss Alps, close to lake Geneva. In our article – Very high-resolution digital elevation models: are multi-scale derived variables ecologically relevant? – we wanted to find out to what extent the observed variability in local climate could be described using variables that were generated from a topographic model. 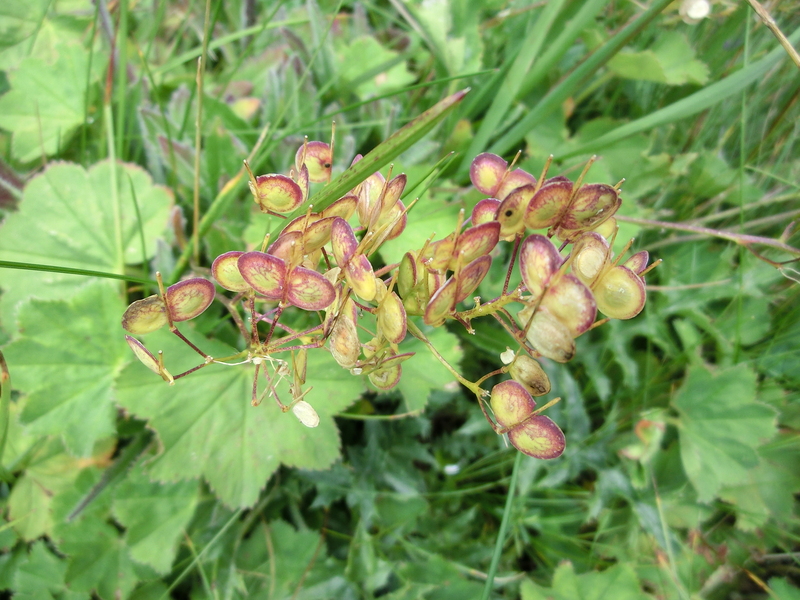 If successful, we could use these variables later to identify signatures of selection in the alpine plant Buckler-mustard (Biscutella Laevigata). 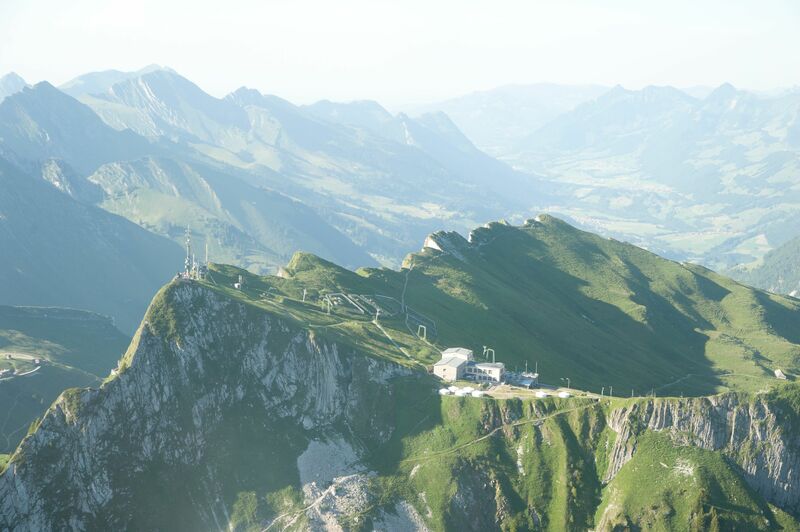 To do this, we set up a network of a hundred sensors in the Swiss pre-Alps (near Lake Geneva where a population of the plant grows) to measure air temperature, humidity and soil moisture as accurately as possible. 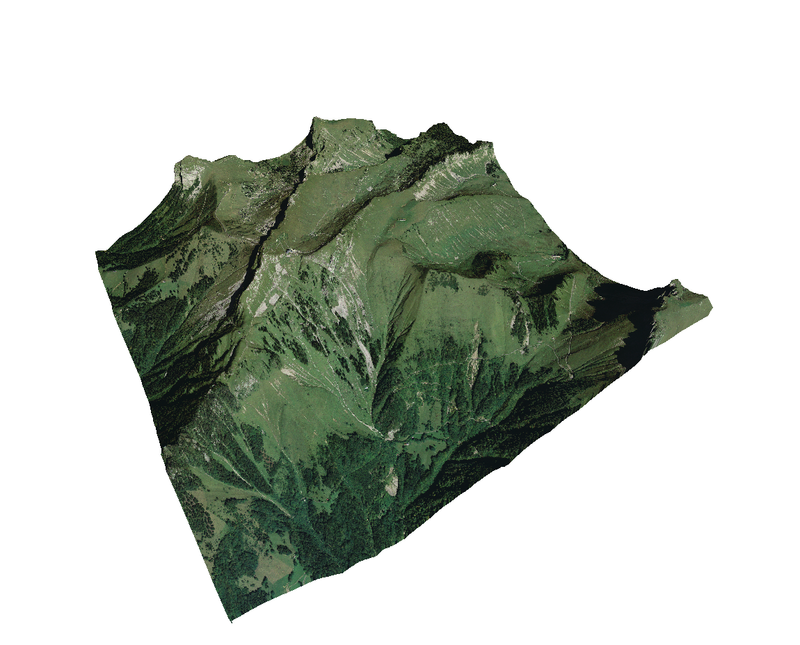 At the same time, we acquired a Very High Resolution Digital Elevation Model (VHR DEM) using LIDAR technology mounted on a helicopter and derived a series of topographic variables. DEMs are 3D representations of the terrain. They are often used in ecology, but the diversity of variables that is derived from them can be quite limited. One of our goals was to validate some less common measures that ecologists take from DEMs. So, we didn’t limit ourselves to slope, orientation and curvature but also considered variables like the terrain ruggedness, protection from the surrounding relief, solar radiation and hydrology indices. In total, 16 independent variables were used to model our recorded climatic factors. We observed that parameters related to the topography had a crucial impact on the local habitat of plants and variables such as the Vector Ruggedness Measure or a Wetness Index explained a large part of climatic variability. High Resolution: Do We Really Need It? In the past, DEMs were only available at a coarse resolution, so the choice of resolution was limited and local conditions could not be modelled. With the development of airborne laser scanners and drones though, it’s now easier and cheaper to accurately map terrain at much higher resolutions (up to 10cm). A wetness index and the total insolation in June are here computed at the highest resolution of the DEM (0.5m). This race to higher resolution also raises the question of whether we need slope or solar radiation variables at 5cm resolution to model the micro-habitat conditions of a plant. A too fine resolution may have too much information and generate too much noise, while too coarse resolution would only show generalized properties of the landscape and lose explanatory power. To address this question, we progressively degraded the resolution of our 50cm resolution model to find out if an optimal resolution to model climatic variables exists. We were able to highlight that scale is important and that higher resolution models do not always provide more accurate results. However, optimal resolution largely depends on the variable considered. For example, soil moisture was best described using variables at the highest spatial resolution, whereas the wetness index was more significant at intermediate resolutions. In general, we found that micro-climate variability is highly dependent on topographic factors at a local scale and that DEMs can be incredibly useful in understanding species adaptation to mountainous environments. We also demonstrated that it is essential to consider the scale of spatial representativeness by assessing DEM-derived variables at various spatial resolutions, so studies using DEMs at a single resolution are likely to miss signatures of local adaptation. We hope that our results demonstrated the relevance of DEMs as proxies for ecological factors and will encourage biogeographers and molecular ecologists to make good use of them, especially in mountainous regions. To find out more about digital elevation models, read our Methods in Ecology and Evolution article ‘Very high-resolution digital elevation models: are multi-scale derived variables ecologically relevant?’. This article is part of our Biogeography Virtual Issue. All articles in this Virtual Issue are freely available for a limited time. 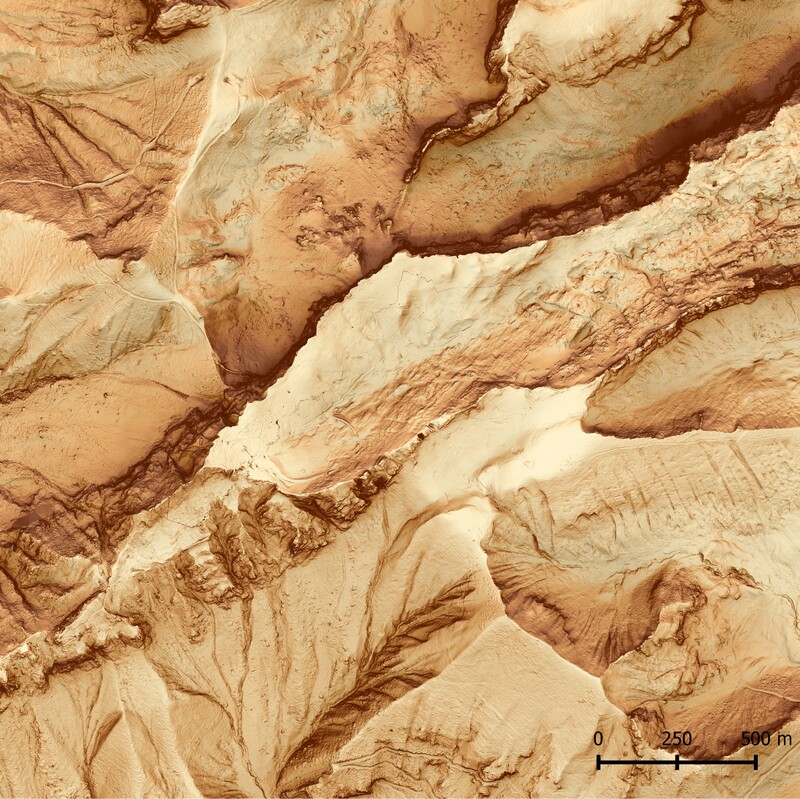 This entry was posted in Methods papers, Virtual Issues and tagged #IBSTucson, biogeography, Biscutella Laevigata, Digital Elevation Models, ecology, International Biogeography Society, LiDAR, Local Adaptation, Local Climate, Micro-Habitat, Molecular Ecology, Mountainous Regions by Chris Grieves. Bookmark the permalink.